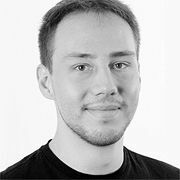 One of our youngest participants to date, Vincent is the Head of Project Management at Zuio GmbH in Berlin. He started his career in digital video in companies such as “Mi Web” and “Divimove” before heading to this original Axel Springer initiative, training young talents in journalism, moderation and production, relying on their talent and allowing them to develop and produce their own formats, publishing them on YouTube. One of their key issues in this initiative is online advertising and branded entertainment, working together with brands and creating productions and formats that bring advertisers closer to the viewer, something which in his eyes, needs to be further developed in Germany. Vincent started studying Corporate Management and Economics at the Zeppelin University Friedrichshafen before joining the Berlin School’s Alumni Thomas Elstner at Axel Springer.